I just came across a new ebook creation tool on Mashable. 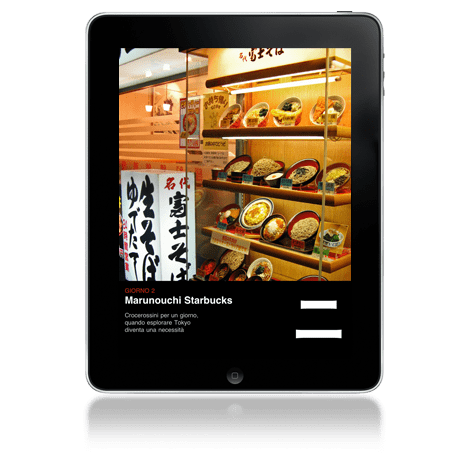 A group of Italian developers have just released Baker Ebook Framework, which is supposed to reduce the amount of work needed to make an ebook for the iPad. I have a couple problems with it, though. There's the basic issue of designing an ebook for only one platform (a no-no), and then there's the fact it doesn't have a landscape mode. Sometimes people will want to use both orientations. 1. Since Baker uses HTML5, you are definitely not building something for a single platform! Yes, we suggest to make your pages fit for 768px to be able to use them on the iPad in its full glory, but that doesn’t mean that you are limited by it: being HTML, it’s readable everywhere. If you think about it, epub is way more limited, because you need a *reader*, while with this you just need a browser. 2. Landscape is truly a good point. We are still evaluating if it should be a priority now before a few other things, but I could say that’s something we are definitely thinking to add, even in “just horizontal” or “both” modes.